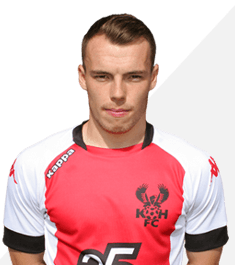 Sam Austin signed for the Harriers before the 2016-17 season after starting his career with Burton Albion. On Albions promotion to the Championship he was released. He spent a while on loan with Telford last year while in the New Year he went to Leamington for the remainder of the season where he scored seven times in twenty outings. He has signed a one year contract with the Harriers.